The following photos look unappetizing and are hardly representative of how good both bowls of ramen actually taste. Sorry about that! 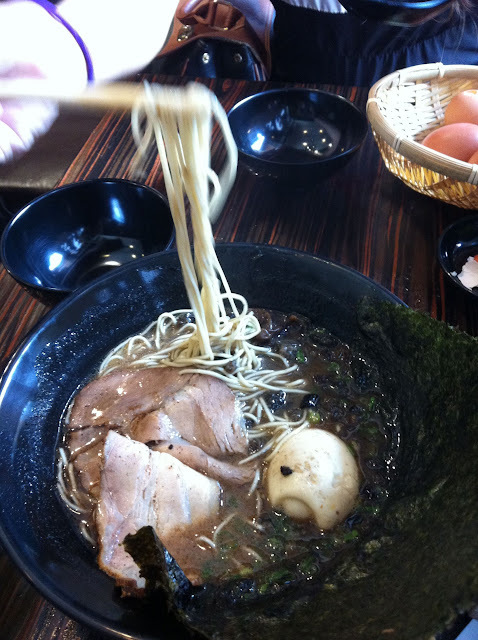 Two note-worthy ramen places in the CBD area are Ramen Bar Suzuki and Keisuke Tonkotsu King. Both use similar concepts by letting you can customize the way you want your ramen. This was a nice bowl of ramen. The friend liked the soup so much that she drank every last drop of it. For maximum satisfaction we suggest you take some fried garlic chips, dip it into your bowl and fill the spoon with soup, and grate sesame seeds on top. Yum! If you come too late you might have to settle for the thicker noodles. We were fortunate to get the last few portions of the thin noodles which were great. Silky and thus very easy to slurrrrp. The last time I went (about a month back?) they were still distributing their loyalty card. The friend and I shared a bowl but they still gave us each a loyalty card without saying a word. Little acts like these go a long way for us at least hehe. Lots of rave reviews about this place but it was okay for me. Thankfully we got our table in 5 mins (skipped the queue because we only needed two seats :P). Orders were whisked out within moments of submitting our orders. It was a rainy day and a piping hot bowl of ramen would have worked wonders but mine came barely lukewarm. i think this was the most disappointing part. I had a slurp and went…. “oh”. I mean the soup was good, noodles were pretty thin, hanjuku egg was probably the best I had ever had (in addition to the perfect viscous, molten yolk, the flavour penetrated the entire white, must have been soaked for quite awhile in the marinade. 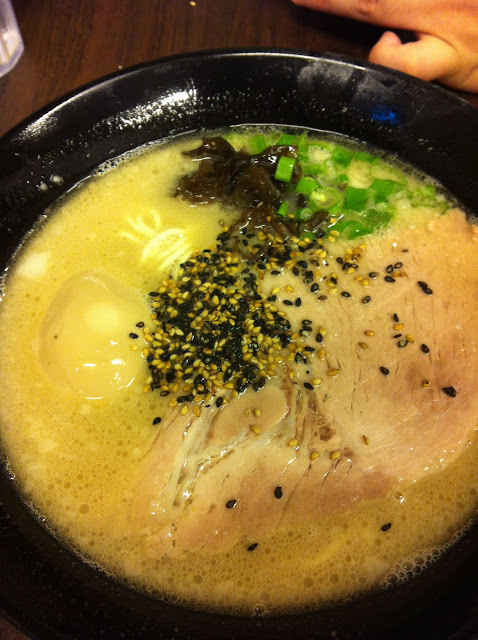 This, Ramen Suzuki didn’t nail. ), charshu was decent without being too fatty BUT the fact that it was not served hot made it an ordinary bowl to me. Service was extremely hurried. Sat in there for 15 mins and I felt the eyes of the staff boring into me, lol. Still, not a bad place for lunch. I expect the hurried service would be much appreciated when you need to rush back for work.